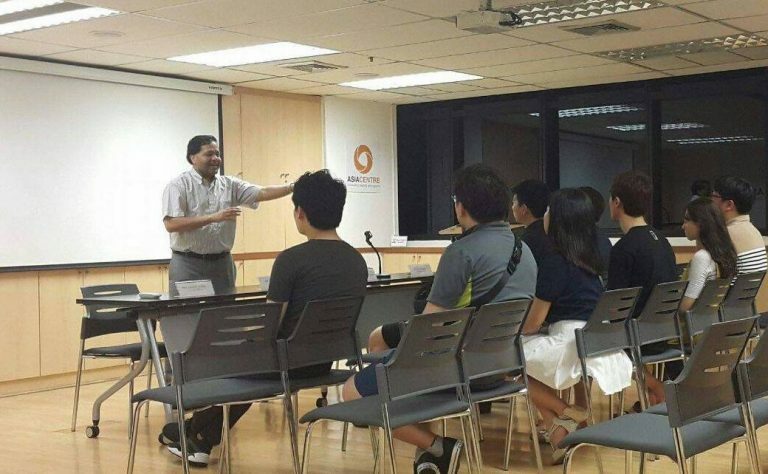 Asia Centre’s Dr. Robin Ramcharan delivered a course to students at RMUTP on the political economy of human rights in the ASEAN area, from 3 to 7 July 2017. 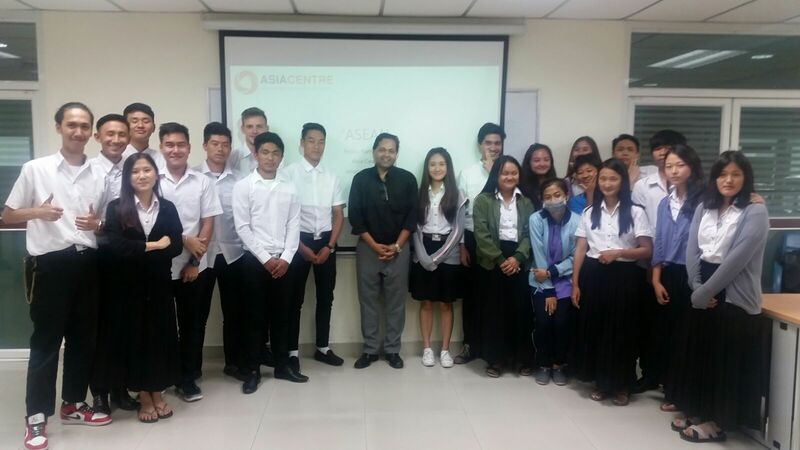 A total of 23 students in the Faculty of Business at RMUTP from Bhutan, Germany and Thailand benefited from a comprehensive overview of ASEAN’s origins, evolution and contemporary challenges, notably in the area of human rights protection. The students, all of whom are pursuing degrees in international management of business organizations, learned of the relationship between business entities and larger economic, social and political problems in the societies in which they operate. They were apprised of the need for business entities to be responsive to wider stakeholders that they serve and affect, and not only to their shareholders. The course discussed the implications of the ASEAN Economic Community for all ASEAN countries, notably the integration of the ten economies into one common market and production base that will see business entities operating regionally. Business organizations from the region and beyond will impact the lives of people economically, socially and politically. As they do so they are increasingly called upon to pay attention to the protection of fundamental human rights of all peoples. Students shared good insights in their presentations on regional power dynamics, the origins of ASEAN, the economic, political and social challenges in the region and the importance of democracy and human rights for the creation of an ASEAN Political-Security Community and for a sound AEC. They also showed good awareness of the general geopolitical context – rise of China – and its impact on ASEAN. On human rights and business, they drew attention to the role of the Universal Periodic Review of the Human Rights Council, to the possible role of the ASEAN Intergovernmental Commission on Human Rights, to the role of the Sustainable Development Goals, to corporate social responsibility and to the importance of the Guiding Principles Principles on Business and Human Rights formulated by Professor John Ruggie at the United Nations. The latter drew upon States’ existing obligations to respect, protect and fulfil human rights and fundamental freedoms, the responsibility of business organizations to comply with all applicable laws and to respect all human rights and to the need for rights and obligations to be matched to appropriate and effective remedies when breaches occur. 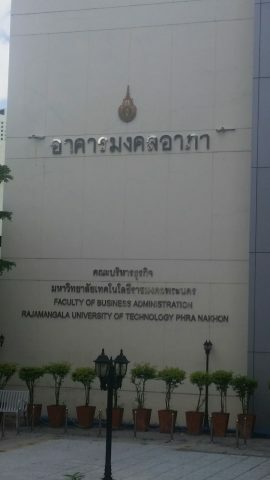 Asia Centre looks forward to further such collaboration with RMUTP and with other universities in Thailand. This builds on successful hosting at the Centre of interns from the Faculty of Business of RMUTP.